Hippo, Lower Zambezi National Park, Zambia. 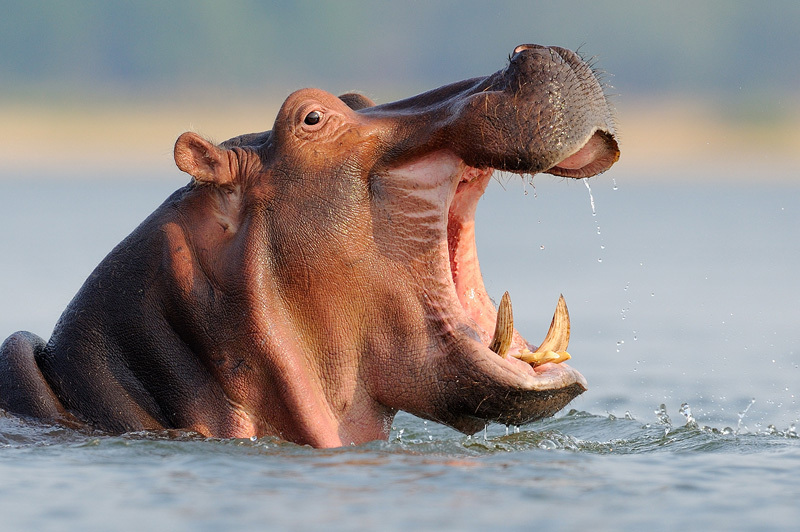 The key to success when photographing hippos, is patience. The moment you get close to a pod they usually submerge and only show themselves every now and then to take a deep breath. After a while however, they get used to your presence and get more relaxed. This hippo had a brief conflict with one of its neighbors, which resulted in a series of intimidating big head and teeth displays. This image was a winner in the Nature's Best International Photography Awards.